A market leading international logistics company who not only operate within the international express and logistics business but who are also a recognised provider of transport to health authorities for the safe and efficient delivery and collection of nonemergency patients from medical appointments. Managing an effective hospital transfer service demands detailed logistical administration along with communication channels for drivers – one that is easy to understand and simple to use. 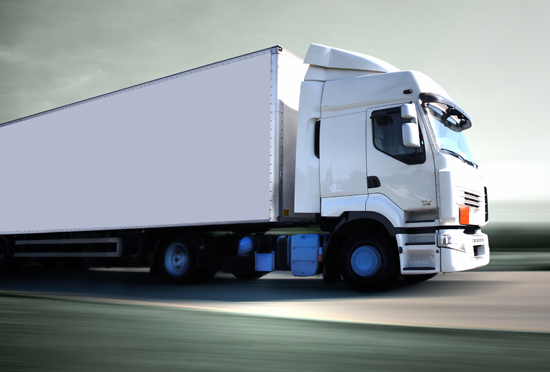 The logistics company previously used tracking tools that provided a secure messaging facility but did not incorporate satellite navigation that might be used by both the driver and the fleet manager to monitor journeys. As greater demands were being made of the transport system, so the need for more detailed, ‘pinpoint’ accuracy on the locations of vehicles and estimated times of arrival at next location became essential in ensuring the time-effective deployment of the nearest vehicle and the expeditious updating of workflows. To resolve these challenges Alamein were approached to devise a specific system to suit their exact requirements – combining user-friendly functions, satellite communication and 24/7 real-time reporting whilst seamlessly integrating with existing backroom technology. Alamein worked in partnership with the company to maximise the usage of state-of-the-art mobile technology by extending their capabilities into the mobile workplace using its hosted technology platform, Messaging, Navigation and Tracking Service (MNTS). A series of reports from the driver needed to be recorded every day – these include health and safety checks on the condition of the ambulance, fuel, oil and water levels and tyre condition. To satisfy this requirement, Alamein developed the automatic delivery of a form to the hand held unit to prompt the driver to collect this specific data and return it immediately. Throughout the shift, mobile workers needed to be able to send and receive continuous reports on passenger collections and drop-offs – information that is fed in to the existing data system and updated instantly. Therefore inbuilt flexibility was crucial to allow for the inclusion of unplanned journey changes at any time. Deviations from original schedule, or problems encountered en route also needed to be recorded by the driver and details sent direct to the manager – this might include a request for alternative transport to accommodate someone on a stretcher or using a wheelchair. Vehicles were also fitted with ‘black box’ technology to give accurate location details not only to assist in journey planning and location finding but also to track unauthorised usage. “We are very pleased with the updated tracking tool and have been impressed with the way that Alamein has taken time to truly understand our business,” said the Contract Operations Manager. “The additional benefits it brings to our service has improved our efficiency and is an attractive selling tool when we talk to potential new clients. Alamein is continuing to develop the product and looking to broaden the range of use by adding barcode scanning and technology to record and alert drivers to speeding restrictions. There is also scope to add environmental monitoring – noting fuel usage, driving habits and journey characteristics to estimate CO2 emissions and contribute data to assess true carbon footprint.